It was summer of 2011 when I first met the Warwaruk brothers at Luxalune Gastropub. 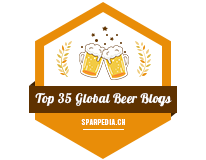 I started following them on Facebook because they were Winnipeg's #1 place to go for craft beer, they had beers that no other pub had in the entire province.. they carried just about everything! I was never in Winnipeg (nor am I now) but I happened to win a day pass to Winnipeg Folk Fest through them, which was absolutely nuts because.. well.. I love indie music and I was unemployed at the time so I couldn't afford to go to Folk Fest. Over the years, I'd always end up at Luxalune for a drink with a friend because they were seriously one of the pioneers in the craft beer scene. I still remember talking to Chris back in the early 2010s that him and his brother Lawrence would love to open up a brewery to showcase what they loved about Manitoba as they already showcased some of the best beers in Canada at that time. Sure enough, they ended up on CBC's Dragon's Den asking for money to invest into Farmery Estate Brewery. Eventually, the brewery did open up, originally as a brewery contracting out to Muskoka Brewing out of Ontario, but in 2016 they opened up their brewery in Neepawa, Manitoba, only an hourish from Brandon. While I'm definitely not in Farmery's targeted demographics, I've liked some of their beers. I'll never be a fan of iced tea/lemonade-style malt beverages (though I crave them in summer), their heavier, styles of beers like Robbie Scotch Ale have been part of my rotation whenever I see it at the local LC/vendor. 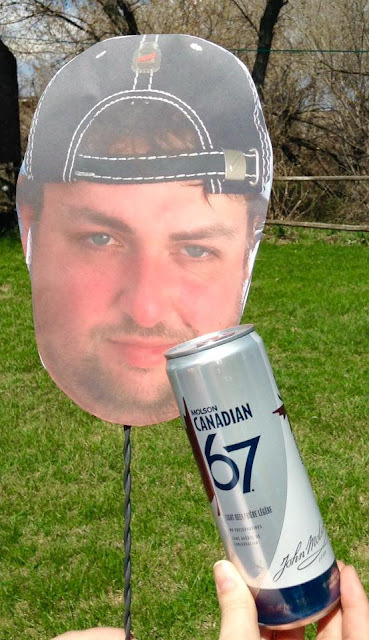 Farmery definitely knows their demographics - the typical Western Manitoba consumer is someone of no specific age group/demographics who tends to drink Bud Light, Budweiser, Guinness or Twisted Tea. Farmery has been able to target those demographics well here in Westman to that point that some incredibly rural beer vendors are selling Farmery, with the second most crafty beer brand being Shock Top or Goose Island, both Labatt brands. When you clicked on this, you thought that this was going to be a review.. well it is. I'm on to it now! 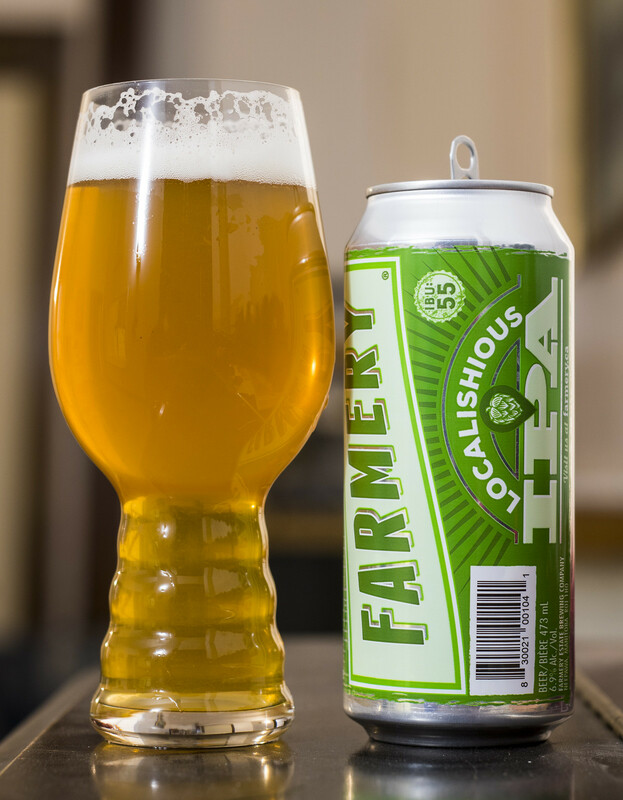 Farmery's newest beer is called Localishious IPA, an American-style IPA. A few of the people reading this will know where the Localishious name comes from, but for those who don't - back when Farmery was being brewed out east, there were people on social media who were annoyed about it so they called Farmery's beer localish, even though some of these people would never go out of their way to try their beer. I wasn't quite happy with Farmery brewing in another region, I felt that it was better to see the brewery developing their brand as much as they could as they were working on building a brewery rather than wait until 2016 to release their very first beer. Well, onto the point - the review! Farmery's newest beer is Localishious IPA, tops out at 6.9% ABV and 55 IBU, just about average in your typical North American IPA at this point. Appearance: Localishious pours a cloudy golden blonde ale with a hint of sediment floating around. There's a moderate amount of carbonation and a decent amount of white foam with a good amount of lacing on the side of the glassware. So far, this looks like just about every IPA I ever review. Aroma: I'm noticing immediately that this is going to be more of a malt-forward IPA where I'm getting notes of caramel and lemon up front. There's a mild amount of grassiness and also a mild amount of pine hop bitterness that's typical of your classic American IPA (pre-New England). Taste: This is a light to mildly bitter IPA with notes of pine and grass that pops up right at the beginning. Good deal of lemon zest, grassy hop, and a higher than average caramel malt sweetness popping up in every sip. Overall Thoughts: This beer can't compete with my favourite American IPA - Red Racer IPA as this one is a bit too malt forward, but holy eff, this pairs insanely well with Buffalo wings incredibly well. I wish they had more bittering hops to give it that bite to it, but it didn't. They've come a long way so I'm excited to see what their next big beer will be. I feel that they might push the craft soda-style beverages further, so I hope to see a dark, malty root beer in the future, but I also hope for them to work on other styles of craft beers over the next few years.. which they obviously will do. Will I buy this IPA again? This is the second time I purchased this IPA so yep, I definitely will, I kind of miss the olllllldschool malt-forward IPAs from the mid 00s.